Sometimes frogs just want to have fun. 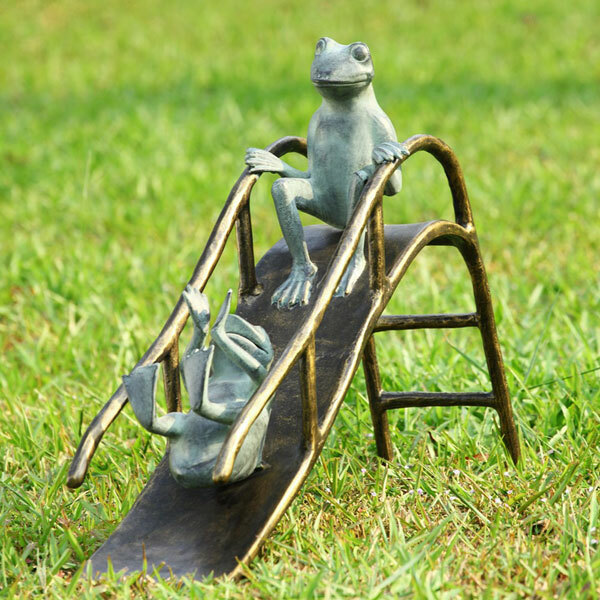 Sturdy, sizable outdoor sculpture is cast aluminum with a green and gold patina. 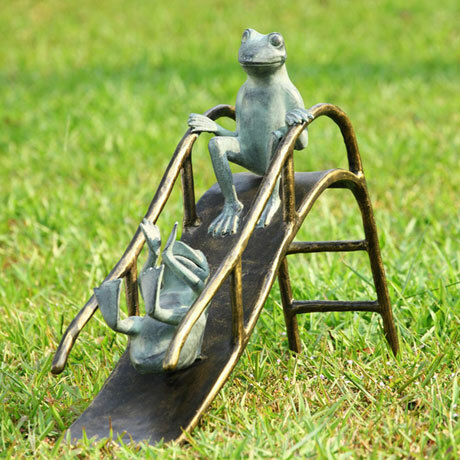 A witty and playful addition to your garden. 18" high, 25" long, 6 ½" deep. Allow 3-4 weeks. Item can only be shipped within the Continental US.